So here we have our well tested and reviewed list of what we feel could be the right microphone for singing for you. Every year all of the respected manufacturers put out press releases of ‘new exciting breakthroughs’ but most of the time they are hollow marketing gimmicks. If we begin at step one with a failure to do proper research, making the purchase of a new microphone can lead to utter disappointment, in spite of all the claims manufacturers and their ‘magic microphones’. Each of us has a unique voice. We all have different tones, textures, and timbres when we sing. It makes the decision even more difficult when you have to decide which microphone would be the perfect fit for YOU. In spite of all of the variables, there are some microphones that will put you in that singing “sweet-spot” better than others. They are a step above all the rest. These are microphones that can capture that part of your vocal personality for specific or multi-purpose situations. They have consistently and repeatedly proven to be the ideal choice, not just for the Go Nuts Music Team but for thousands of singers who rely on them for their vocal technique and performance. 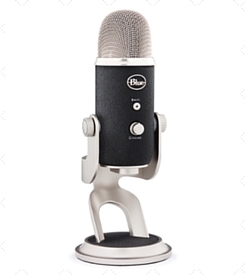 This microphone has a large diaphragm made especially for low noise while giving a smooth, natural sound. It comes with a custom shock mount that ensures superior isolation. It can pick up sounds from the rear and sides using a cardioid polar pattern thus isolating the desired sound source. 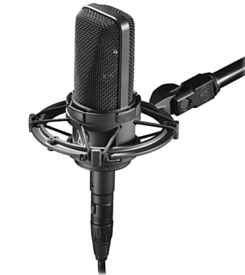 It comes from the superior microphone family that includes another top pick the AT2020 USB Condenser Microphone. 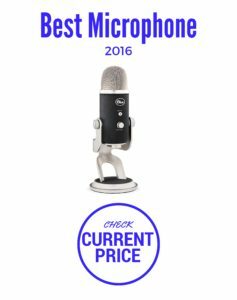 This microphone can not only make you sound amazing but it’s an outstanding value that will last for years. It’s just like having 4 microphones in one package. The four polar pattern settings can be used for any recording application. Capturing two channel stereo images is a breeze. And the Cardioid pattern is perfect for any type of vocal, podcast, or singing situation you throw at it. 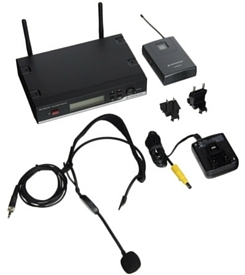 It offers digital recording resolution using an XLR output but makes recording USB drop dead simple with it’s USB output. Sennheiser Microphones strikes gold with this wireless headset system. 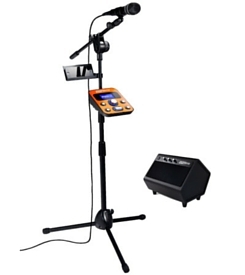 It comes with all the tools you need to get you the freedom to sing wherever your inspiration takes you. The headset is super comfortable and allows you to adjust everything for your ultimate comfort. If you’re feeling the pull to “cut those wires” and roam free, this is the perfect package for you. 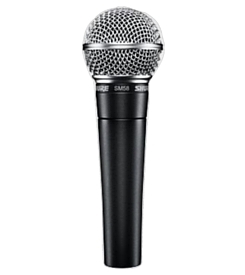 Every singer who has ever stood on a stage has probably used a Shure SM58 even if they weren’t aware of it at the time. This is the de-facto most recognizable microphone in the world. It is the main stay of every band, vocalist, or performer. It’s tailored especially for singers, with emphasis put on the mid-range and a roll-off on the bass to really make you shine. It comes in several different versions. You can never go wrong with the Shure SM58 and your voice. When it comes to inviting friends over to sing and have the karaoke going all night long…Singstrix knocks it out of the park. It’s more than just a microphone, this is the whole package. Ranked #1 in Karaoke Home System Packages the Singstrix adds some really sweet cutting edge features to the party. From live vocal effects to natural pitch-correction you’ll be able to sing your heart out and sound fantastic. Extra microphones are available for when you want you’re in the mood for a duet or a crowd-sing. When you want to get your ‘rock-star’ on look no further than this hot system.